It was a pretty normal summers day. The kids had been at summer day camp all day and my husband and I relaxed by the lake. At the summer camp they attend, parents do daily drop-off and pick up. This is a huge bonus because we, the parents, are able to meet the staff, meet our kid’s friends, and get some info from the counsellors about their day that the kids won’t share with us. I’ll admit that I am one of those “creepy” parents that like to spy on my kids to see what they are doing just before afternoon pick up. On this particular afternoon, my mom had joined us at camp pick up too. Once we put the kids in their car seats in the car the conversation shifted to discuss a particular counselor who both of my kids have taken a great liking too. “She’s so sweet”, I said. “The kids really like her”, my husband said. “Renee, I think she looks like your friend Marissa (name of the friend has been changed)”, said my mom. “The only thing that Marissa and the counselor have in common they both are skinny”, said my husband. Then a voice piped up in the backseat. “I’m skinny”, said Princess Peach proudly. “It’s important for your body to be strong and healthy”, I said. “It’s important for you to feed it good foods so you are able to have the energy to dance”. Then my mind started turning. Where has she heard skinny before? Who has told her she was skinny? Does she even know what skinny is? Yes. She is skinny. Naturally, very skinny. But, I have made a conscious decision to never discuss skinny/fat/flabby etc. I never look in the mirror and complain about my disfigured body. Instead, I let my kids see my scars. 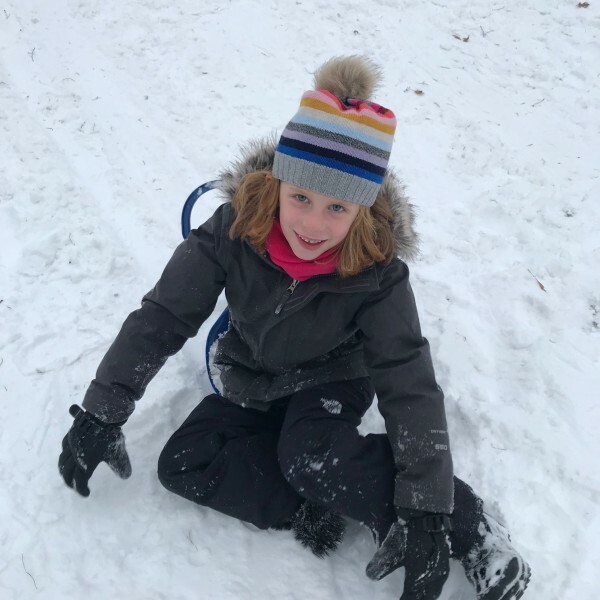 We’ve talked a lot with our kids about making healthy choices for their bodies to keep them healthy and strong in order for their brain and bodies to work their best. The other day as the four of us were cuddling in bed, savouring every last second of Winter Break, Princess Peach announced: “I’m skinny!”. Then I went on my tirade again about making healthy choices for her body. 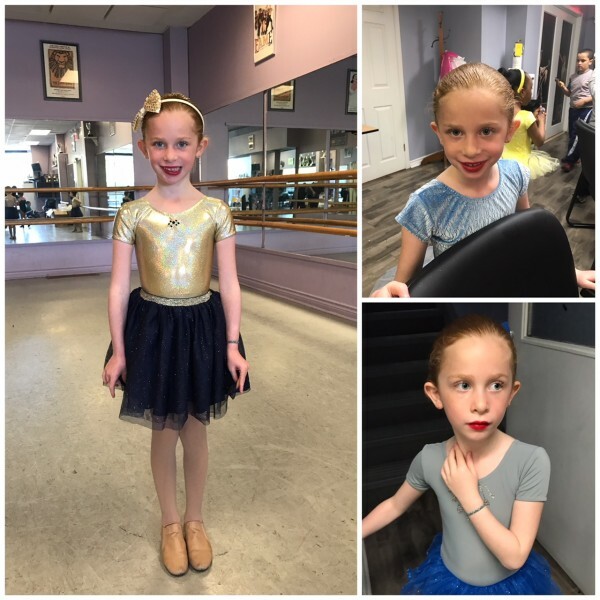 Since the first time she said she was skinny we’ve spoken about how her body needs to be “healthy”, and “strong” to do the things she loves to do like dance, and play with her friends. Food choices that she makes should be “healthy foods” that will give her energy and makes her body strong instead of candy and chocolate (she has quite the sweet tooth!). Sometimes I think that I may be too hyper-sensitive to her calling herself “skinny” because I never was. I had an athletic body with muscular calves, wide shoulders and a bigger build. But that body kept me strong to play the sports which I loved playing. At the time, I didn’t appreciate everything my body did for me. I often wondered when I too would be skinny like my friends. Looking back I know I wasted too much time worrying about when my athletic body would be skinny. Oh, how I wish I could go back and tell that girl to not worry about such silly things. I always joke with my husband, family, and friends that I don’t know how to raise a skinny child. Princess Peach is so naturally tall and skinny that finding clothes- especially pants to fit her body could be a full-time job. Leggings that fit in the waist are too short in length. And when I think I find pants that are the perfect length they are sizes too big in the waist and way too baggy in her thighs. She is also a very picky eater. At 4 years-old she declared herself a vegetarian except she will eat chicken nuggets, turkey bacon, and fish sticks. Somehow those don’t count on her vegetarian diet. Her diet is mainly fruits, vegetables, and dairy. And as she’s getting older and more aware we’ve spoken about how to make healthy well-balanced meals. These conversations are mirroring what she’s learning at school in health. And then there’s dance. I often question if dance could be where she knows about her being skinny. Maybe yes, maybe no. I can’t see her professional dance studio focus on girls bodies, at least not yet at her age. The reality of being a dancer is that you stare at yourself in the mirror and with Princess Peach dancing 4 hours each week, that’s a lot of staring! She loves to find mirrors at home to watch herself dance. She often uses the reflection of the fridge or oven glass to watch herself move. I hope that while she’s starring she’s noticing how strong her body is and how amazing it is that she can move it in so many fabulous ways. At this point in her a 6-year-old life, calling herself skinny is hopefully just a descriptor word. Just how she would describe herself as kind, funny, smart and loving. The truth is, I don’t really care if she describes herself as “skinny” as long as being “skinny” does define her or interfere with her life. And if it ever does, we will cross that bridge then. I love that you are concerned about the word “skinny” I too have a tall, lean daughter at age 11. I am guilty of “dieting” pretty much her whole life. Although I explain to my children that I am trying to loose weight to be healthier. Other people in my daughters life call her “skinny minny” and comment on how she should go into modeling. I hate this, we encourage her to be who she wants to be and to make healthy choices in life. How sad that at 11 years old, little girls are told not to enjoy food because it’ll give them pimples and make them fat? How did you handle talking to your daughter about this issue afterward? Even though C. is only 3, I do think about it also! She is naturally skinny/thin. I make a conscious effort to never talk about body shapes or complain about my body. I encourage them to eat anything, sweets, croissants, cakes, as I don’t want them to have a concept of forbidden food. Obviously in moderation… I cook Everyday and try to integrate them in the activity so they understand food is also a social pleasure and so they know what they are eating. We can only try our best. I am sure that at one point she will hate her body as all women do but I hope I will have given her enough strength to not waste time with these thoughts and to recognise that being skinny has no value and that being healthy, strong and loving what she has is much is what matters. Amen!!! Princess Peach loves to look at cookbooks, food blogs etc and cook with me so we defintely encourage that too. I agree that having a healthy relationship with food is important! Thank you so much Alyssa! We all want the best for our kids and sometimes navigating around all of these subjects can be challgning but I’m hopeful that I’m doing a good job, as are you! Skinny isn’t a bad thing – it’s just a fact! My older daughter is the exact same. She’s almost 10 and finding bottoms for her is next to impossible. I tell her she’s skinny because of the problems I have finding clothes for her, and because she sometimes jokingly says she’s fat! I certainly don’t want her saying that. I have never, ever said that about myself and I never diet. Show her what being strong and healthy means and she won’t have any issues.